30 m² studio with a terrace. 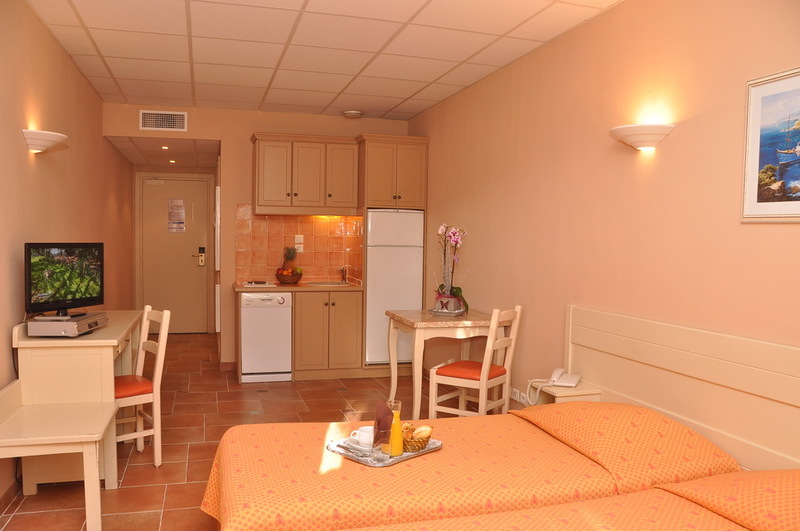 Air-conditioned, equipped with two beds 90 x 200 cm, a kitchenette a bathroom and a TV. Non-smoking; accessible to persons with reduced mobility; family rooms; lift; soundproofed; central heating; air conditioning; equipped with a safe, an iron and wake-up service included. Free closed car park; swimming pool; garden. Pets are allowed (fees may apply). Tourist tax : € 1.50 per person, per day.